Perry Town Planning facilitated for the inclusion of 400 hectares of land within the Green Wedge Zone to be brought within the Urban Growth Boundary, as part of the Minister for Planning’s logical inclusions process in 2011. 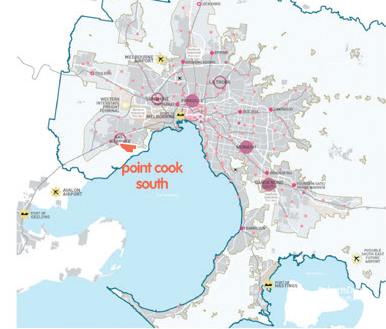 The Point Cook South precinct was subject to the consideration of an independent advisory committee appointed by the Minister. Numerous technical studies were commissioned which supported the potential of the land for urban development, with the evidence accepted by the Committee, as well as other government authorities. The Minister for Planning announced his decision in 2012 to implement the recommendations of the Committee, and Amendment C180 to the Wyndham Planning Scheme was approved shortly after, including the land within the Urban Growth Boundary and rezoning it to the Farming Zone, pending further studies to prepare for a Precinct Structure Plan. We are currently working on a vision which could provide for a new community of 3,000 dwellings in Point Cook South surrounding comprehensive open space networks incorporating wetlands, located 25km from Melbourne CBD and adjacent to the future Werribee East Employment Centre.